Canon recently made a huge splash by introducing their new speedlight, the EX 600 EX-RT. This speedlight doesn’t just improve on previous models, it actually changes the way Canon speedlights communicate, and that means a huge difference for the photographers who use off-camera flash. 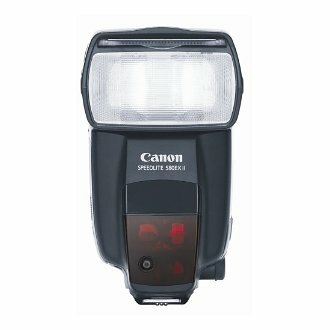 Until now, Canon speedlights could communicate with each other to function as commander and slave units, but this new model takes the next step. With current, and previous models, the flashes are controlled through optical sensors, requiring exact positioning, and “line-of-sight” visibility. Most new wireless flash systems use radio frequency to control one, or even multiple groups of flashes, and Canon has become the first manufacturer to offer a flash that incorporates all the features of a Pocket Wizard or similar wireless flash system, into the flash unit itself. This means full communication between speedlights, controllable in 5 different groups, or 15 flashes total. This is more than enough to suit most photographers needs. Some photographers don’t like bigger, heavier equipment, and are happy to get the results they need from a few well placed flash units. This new Canon flash is all they need for complete control over lighting in a studio, or on location. With this new flash the limitations of the previous wireless set-up, including distance issues, as well as flash positioning(with current models requiring “line-of-sight” to operate) are gone, incorporating radio triggering with full E-TTL metering into a single unit. This new unit is even backwards compatible, meaning that any current EOS user, with either a film or digital Rebel or higher level camera can fully utilize the new features. For users of Canon flash systems, this will be a huge advantage ensuring accurate exposures and creative control over a wide range of flashes. Off camera flash can be complicated, and even the best photographers get frustrated. We will be holding the Learn to Light with Canon Flash class on Saturday, June 2, from 10 a.m. to 4 p.m., in Alexandria and will include full coverage of using existing speedlights, as well as the exciting new addition, the EX 600. We hope to see you there!